Pag island is known as the island of beaches, salt, cheese, lamb, wine, curative mud baths, camping, lace and Zrce beach 24/7 parties! With the longest coastline of any Croatian island, it’s filled with coves, rocky beaches and some very weird landscapes. It also has more people living here than many mainland towns—almost 9,000 year-round residents. If it wasn’t for the importance of salt as a preservative in the Middle Ages, Pag would have had a very different history. The original salt pans are still here. Another centuries old tradition is the island’s famous lace. The main towns are Pag and Novalja, but there are plenty of smaller hamlets. The low and rocky southern part is a moonscape–but head northwest and the terrain swoops up more than 1000 feet to the island’s highest peak, St. Vitus. Pag is a great place to rent a bike or a scooter to really enjoy such dramatic landscapes. And you don’t need a ferry to get here! There’s a bridge to the mainland making the island only 3-hours from Zagreb, 1 ½ from Rijeka and only an hour from Zadar–or if you;re close, take the Prizna-Žigljen ferry and get here in just 15 minutes. Drive here if you are coming from Gospic or Paklenica National Park. 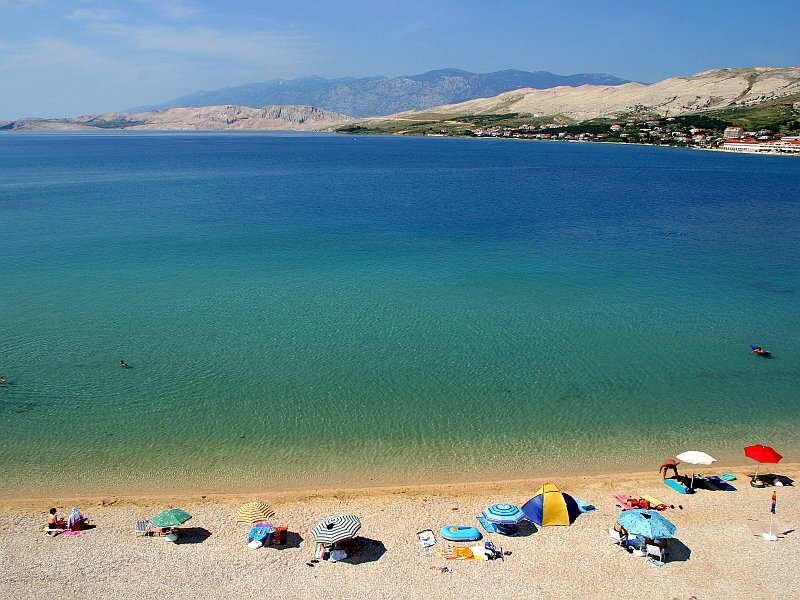 The main hotspot on Pag is Zrce beach, which recently was allowed by law to remain open 24/7. With lots of beaches, Pag’s beautifully-preserved medieval Old Town, an orithological reserve, ancient traditions and 21st century partying, Pag is a great getaway!